Defence Minister Christopher Pyne has officially welcomed Dr Lesley Seebeck as the new appointment to the Naval Shipbuilding Advisory Board (NSAB) to support the development of Australia’s sovereign shipbuilding plan. Dr Seebeck is the inaugural chief executive of the Australian National University’s Cyber Institute and was the Federal Chief Information Officer of the Year in 2017. Minister Pyne welcomed Dr Seebeck to the position, saying, "Dr Seebeck brings a wealth of experience in the Australian public sector, across information technology, digital transformation and national security." Minister Pyne made the announcement following his latest meeting with the NSAB. "The next generation of digitised and data-driven ship construction will transform our naval shipbuilding industry, create thousands of local jobs and accelerate the growth of Australia’s advanced manufacturing sector," he said. "The Australian and international expertise represented on the NSAB continues to provide very valuable independent advice to government on all aspects of this national endeavour." 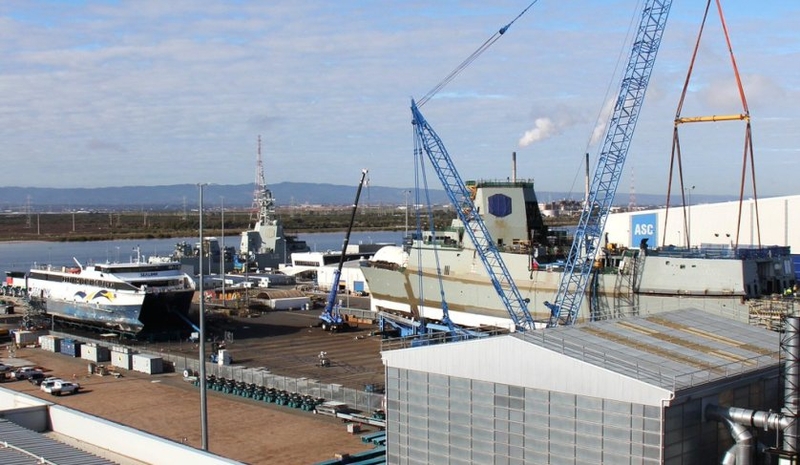 The Australian government is laying the foundations for an Australia‐wide naval shipbuilding enterprise, ending the boom‐bust cycle that has afflicted the Australian naval shipbuilding and sustainment industry. This will provide certainty to local businesses and shipbuilding workers. Dr Seebeck started as the CEO of the Cyber Institute at ANU on 30 July 2018. Prior to that, Dr Seebeck was chief investment and advisory officer at the Digital Transformation Agency, arriving there from the Bureau of Meteorology where she served as chief information officer from mid-2014 to late 2017. Dr Seebeck has a PhD in information technology, an MBA, a master's in defence studies and a bachelor's degree in applied science (physics). As part of the government's $90 billion naval shipbuilding and sovereign industry capability plans, the Royal Australian Navy will undergo its largest modernisation and capability expansion since the WWII. Minister Pyne added, "We are embarking on the largest naval expansion since the Second World War and the government is determined to deliver the Navy the capability it needs to protect our nation." Major projects totalling about $88.5 billion across the SEA 1180 Arafura Class Offshore Patrol Vessels (OPV), SEA 5000 Hunter Class frigates and SEA 1000 Attack Class submarines will transform the Navy's capability and support the development of Australia's sovereign shipbuilding capacity over the next three decades. Modernisation of our naval forces is a complex, national endeavour aimed at building and sustaining Australia’s naval capabilities, creating economic growth through maximising Australian industry involvement, and securing Australian jobs for future generations. The Naval Shipbuilding Plan outlines the government’s vision for the Australian naval shipbuilding enterprise and the significant investment required in coming decades.